Note that there is no limit to the number of plots that can be added to a plot group, although it’s important to make sure that the plot doesn’t get too crowded. In certain cases, plots may interfere with each other — for example, it wouldn’t make sense to include a surface plot of the fluid flow velocity directly on top of the temperature plot, because it isn’t possible to see both at once. Even in this case, the contour and the arrow plots together make it look a little too busy. In the previous example, you might have noticed that the contour plot showing the temperature lines around the base of the heat sink has a different color scheme than the surface plot showing the temperature in the heat sink and surrounding domain. This could become confusing, especially since the rainbow color table is used in the arrow plot — which is showing fluid flow, not temperature. So as not to be misleading, we can change the two temperature plots to have the same color scheme (and make sure it’s different than the color scheme for plots showing other physics). There are several checkboxes (shown above) that allow you to choose exactly which aspects of the plot’s style to keep. 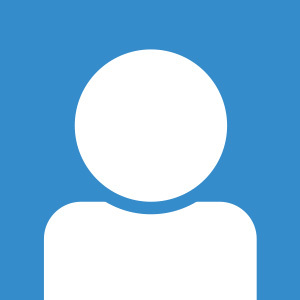 This is especially helpful for certain plot types where you have manually adjusted a setting — for instance, where a manual scale factor has been introduced and you want to make sure that all the successive plots maintain the scale. 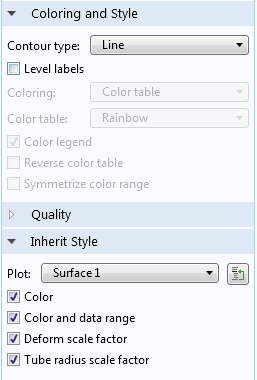 Choosing to inherit the style from a previous plot also means that any changes made to the “parent” (the plot the settings are inherited from) will cause automatic changes in any plots relying on its style settings. This means that it’s no longer necessary to go into the View node, and you can easily turn them off and on temporarily as needed. Another helpful tool (again shown in previous posts, but seldom discussed) is the Wireframe rendering option in the Coloring and Style tab. This checkbox allows you to display the mesh elements in a surface plot. 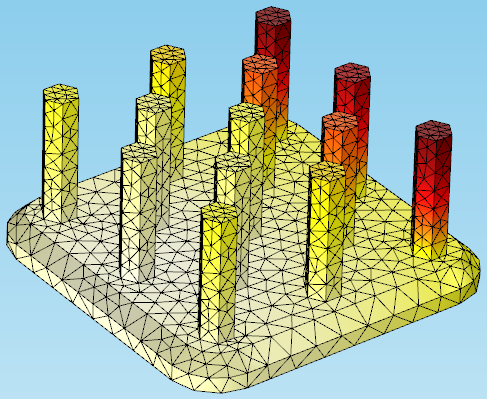 The mesh doesn’t have to be a uniform color (and will show an appropriate color gradient if a physics expression is used for the surface plot), but this feature is normally used with a gray or black mesh on top of a surface of a different color. 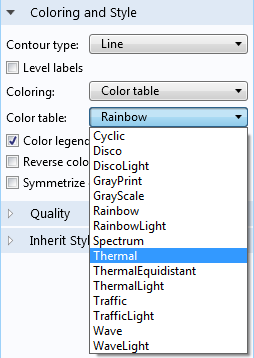 COMSOL Multiphysics contains several options for exporting results such as images, animations, and reports. These are quite flexible and may be adapted to your specific needs. 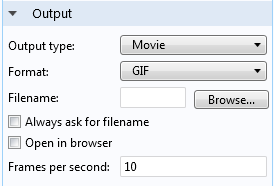 Among the settings are fields for controlling the number of frames, size, and speed of the video. 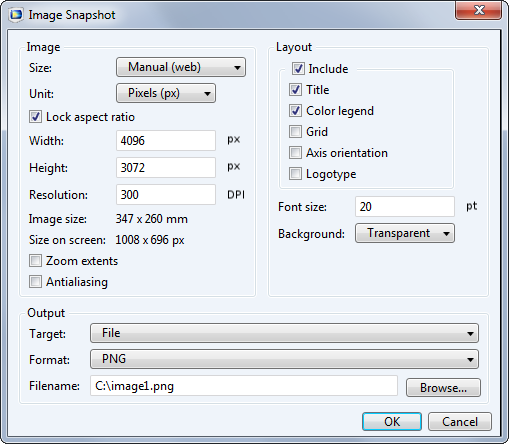 Like the graphics export options, there are also choices for resolution and layout. Note: The Player node is very similar to the Animation node (also accessible through the ribbon or by right-clicking on the Export node), except that it doesn’t save a file. Rather, this feature enables you to play and watch the animation directly in the graphics window. 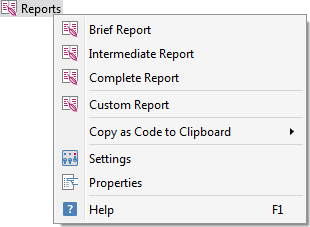 Finally, the Reports node allows you to generate a report of your results as an HTML or Microsoft® Word file. 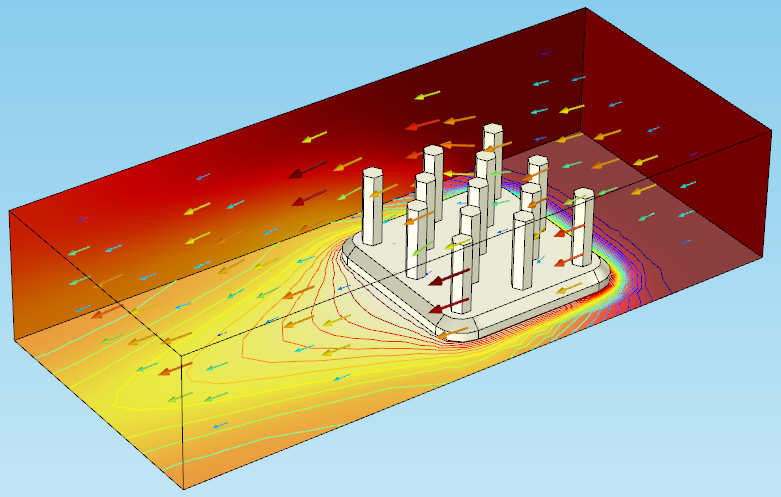 Several options are available for different amounts of detail, as well as a Custom Report option that lets you choose exactly which aspects of the simulation you’d like to include. 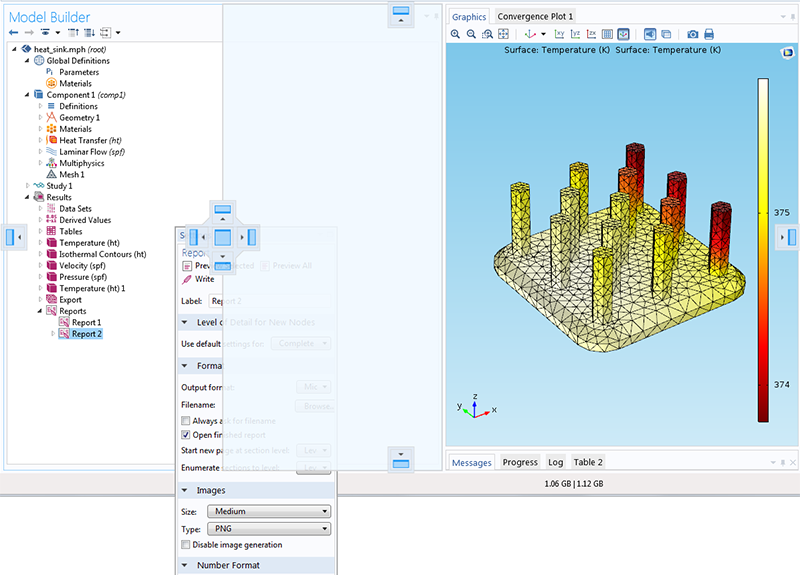 A complete report will include everything in the Model Builder, from the parameters table to the final results plots. This completes our overview of using additional tricks and tools for postprocessing in COMSOL Multiphysics. We hope that you’ll find these techniques useful in your own work for visualizing, understanding, and sharing your simulation results. Thanks for reading!